Many people are exploring virtual worlds such as Second Life as well as the growing constellation of Opensim-based worlds. Here’s a neat device that can help you communicate between them all. RADIONNE is a device created by Vadrouille Zepp. Once your avatar wears the device, it allows you communicate via text chat with other folks wearing the device in Second Life or any Opensim-based grid. 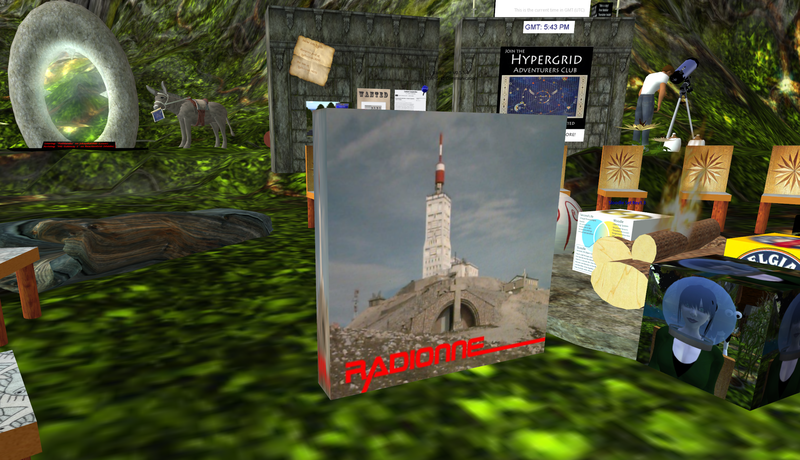 There’s a great overview of RADIONNE on Soro Nishi’s blog, including information on how to pick up a copy of it in Second Life. If you’d like to grab a copy of it to use in Opensim, there’s a copy of it next to the campfire on my region Pathlandia on jokaydiaGRID. 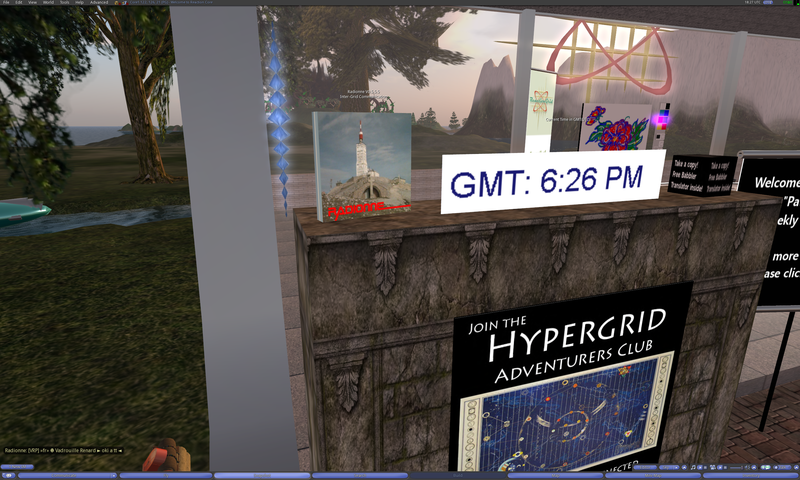 I also placed one on top of the Hypergrid Adventurers Kiosk on the region Core1 on ReactionGrid. RADIONNE doesn’t currently work across the entire Hypergrid, as each device seems to be programmed to work only on a specific grid. But Vadrouille says he plans to work on a future version that supports folks who jump between grids. This could be very useful for our Hypergrid Adventurers Club. Thanks to Mal Burns and Wizard Gynoid for helping me learn more about RADIONNE and getting me set up. It’s exciting to see tools developing that help connect people and build communities, no matter where they exist across the growing constellation of virtual worlds. This entry was posted in Announcements, Avatars, Hypergrid Adventurers Club, OpenSim, Virtual Worlds and tagged authentic animal conversations, avatars, communication, HyperGrid, Hypergrid Adventurers Club, jokaydiagrid, metaverse, online communities, OpenSim, radionne, ReactionGrid, second life, virtual worlds by John "Pathfinder" Lester. Bookmark the permalink. Thanks for the additional info, Wizzy. Great to see this thing spreading across the grids! Um, this was created using the stolen tech from Wizardry and steam works multigrid chat relay created by Kira Komarov, I recognize that anywhere cause I helped her with processing, and its the exact same thing. kalaeon, I’ve been communicating with Wizardry about Radionne and she has absolutely no problems with it’s development and is actually shown as creator beside being involved at one point in porting it into other grids. Unfortunately it stopped working at one point due to it’s reliance on a web site. 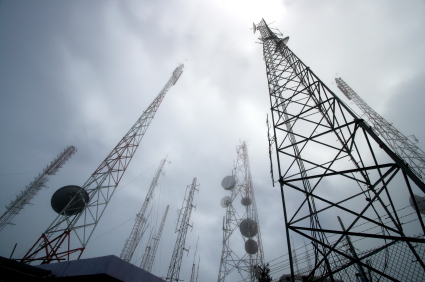 There is however another Intergrid communicator being worked on that uses HTTP protocol plus password to create specific channels. It works quite well except we have run into a security problem with it plus another problem. Firstly when connecting two units it shares their URLs with each other, but, unfortunately whenever a sim restarts the URL changes and it is not deleting old URLs causing memory problems. This should be able to be overcome. Secondly and far more serious is that SL uses a different protocol to OS grids insomuch that SL uses a type of secure connection. I’m not the techie so can’t give you details, but, the result is that the new Intergrid communicator is open to network attacks and they have been detected so it’s on hold at present until these issues are resolved. Hi Pathfinder, how can I find your region on jokaydiaGRID? I did a search of pathlandia on jokaydiaGrid and nothing came out. I just got the device and tried it…got messages from Iwz, SL and ReactionGrid…It’s just great!!! Thanks!!! Where is the facebook like link ? I just enabled the “Facebook Like” button on my blog. You’ll now see it at the bottom of each post. I found it in SL without problem but can’t find it anywhere in OSgrid – does anyone have a location where it can be found? Can no longer find it on SL. Links to Marketplace do not lead you to it. Search of SL Marketplace turn up nothing. That French shop linked to no longer seems to have it. Anyone know where it is now? I’m afraid I don’t know where to find it now either. Thought it may be a script problem, but, seems it’s impossible to reset or even recompile the script. Too bad this didn’t work out. The support seemed to be too onerous for the Vadrouille Zepp. Glyph Graves is using a similar tech for his latest LEA show, with Ghosts appearing in multiple grids that you can chat with. Where is this LEA show happening? I’d love to check it out. Since I wrote this article, Opensim now natively supports cross-grid friends and IMs (http://www.hypergridbusiness.com/2011/05/hypergrid-to-have-friends-instant-messaging/). So you can now immediately communicate with folks on any hypergrid-enabled Opensim grid by just using the normal IM/chat system in the viewer.